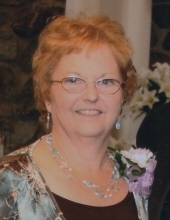 Diane Susan O’Reilly, age 69, of Plymouth, passed away peacefully on Thursday (April 4, 2019) at her home, where she was surrounded by her loving family. She was born in Plymouth on May 11, 1949, a daughter of the late Fred and Hedwig (Hillmann) Lange. Diane attended St. John Lutheran Grade School and graduated from Plymouth High School in 1967. On September 6, 1969, she married Phil O’Reilly at St. Mary Catholic Church in Cascade. Diane worked as a CNA at Sheboygan County Comprehensive Center for 21 years and then at Rocky Knoll for 9 years, retiring in 2011. She enjoyed her flowers, bird watching, traveling, and most of all, spending time with her loving family. Survivors include: Husband: Phil; Four children: Mike O’Reilly, Terry O’Reilly (fiancée: Patti Fechter), Brian O’Reilly (special friend: Martina Nisthal), and Karen (Jesse) Duchateau; Brothers-in-law: Bill O’Reilly and Bill Arndt; Other relatives and friends. Diane was preceded in death by: Her parents; Brother: Frederick Lange; Father and Mother-in-law: Robert and Margaret O’Reilly; Brother-in-law: Tom “Rooster” O’Reilly; and Sister-in-law: Kathy O’Reilly-Arndt. Cremation has taken place and private family services will be held. The family would like to send special thanks to the nurses and staffs of: Sheboygan Memorial Hospital, Rocky Knoll, The Atrium, Aurora at Home, Palliative Care, and Sharon S. Richardson Hospice; as well as Ruthie from Hope Inspired Home Care for the past four years. To send flowers or a remembrance gift to the family of Diane S. O'Reilly, please visit our Tribute Store. "Email Address" would like to share the life celebration of Diane S. O'Reilly. Click on the "link" to go to share a favorite memory or leave a condolence message for the family.